Considering New Construction? Read this first! Considering New Construction? You Need A Real Estate Agent! The first instinct when buying or selling a home is to reach out to your favorite real estate agent. When building a new home, sometimes it can be a little unclear if you should use an agent. After all, a builder is building the home and chances are, you determined which house was for you when looking at their website or visiting their under construction neighborhood, perhaps even meeting with their agent at a model home. Do you really need a real estate agent when building a new home? Absolutely. Here’s why. Purchasing new construction is usually more complicated than buying a resale home. What seems like it should be a straight forward transaction (pick out plan, choose cabinets and paint colors, stand back and watch building process…) is actually a lot more complicated and requires quite a bit more knowledge of contracts and the actual building process. The builder’s agent in the model home, works for the builder and has their best interest in mind, not the buyer. Builders do not like to reduce their home prices, and with good reason. They sell each home based on what they have already closed on, meaning past sales affect future prices. Like all sellers, builders are looking at their bottom line, not the buyer’s. Rather than cut their price if you don’t use a buyer agent, they will cut costs somewhere else. A dedicated buyer specialist will enter into the negotiation on the price of the home with the buyer’s bottom line in mind, making sure that they not only get the best price, but what they think they are purchasing is actually the finished product they get. Price. Since builders are working hard to keep their home prices the same or higher for each home sold, any concessions they make benefit them not the buyer. Usually, any price negotiation is offered as closing costs or design center incentives, both being costs that have already been built into the marketing of the home. Having an agent of their own puts a buyer on equal footing with the builder, giving them a better opportunity to negotiate a better price. Getting what you pay for. It is an unfortunate fact that some builders do not deliver what is promised. A finish here and appliance upgrade there can save a builder a substantial amount of money, at the cost of the unwary buyer. The model home finishes may not be the ones a buyer likes and in the course of building a home, may be offered as seemingly incidental offerings. Change orders cost money and at the closing table can add upwards of $10,000 to a final purchase price. A buyer specialist will sit down and go over the contract and the plan for construction, making sure every detail is in writing including finishes and the timeline for the construction. In addition, a dedicated buyer specialist will make sure things are going as planned, and be in your corner if they are not. Timeline. The timeline of finishing the home should be in writing. A builder will inevitably encounter some sort of delay or change. These changes can be difficult for an impatient buyer who is dreaming of a finished home. Sometimes the changes are small, such as a rainy season that keeps contractors off the job site. Other times they are big, such as the wrong windows being delivered. Buyers who have an agent that is on top of these contractual changes end up with the least stressful and least costly purchases. Finding a lender. An experienced buyer specialist will know if the offer that the builder’s preferred lender is offering is actually a good deal. With the lock on an interest rate typically being higher for a new construction loan, due to the extended time that is required before closing, the incentives offered by a builder’s partnering lender could be beneficial. However it is not always the case. Taking a loan with only a builder as an adviser is not recommended. Inspection and appraisal. Home inspections are a given for resale homes in almost every person’s mind. After all, a buyer wants to make sure repairs are done and that the home is in the same or better condition as when initially under contract. An appraisal is done to confirm that value of a home, both for the lender and for the buyer. The same is true in both cases for new construction. A home should be inspected and appraised before purchasing. If either comes in with concerns, a buyer with an agent is in a better place to negotiate than one without representation. As the housing market continues to hold steady and the demand for homes continues to increase, more and more people will turn to new construction homes as the solution. A qualified buyer specialist with experience in new construction and knowledge of area builders is a buyer’s best bet for a truly great investment. Our team of dedicated buyer specialist have experience not only in assisting buyers in purchasing and building new construction homes, but also in buying them as their personal homes. Ready to start the process? Contact us today for your buyer consultation. We can advise on reputable builders, lenders and areas that will suit your new construction needs. 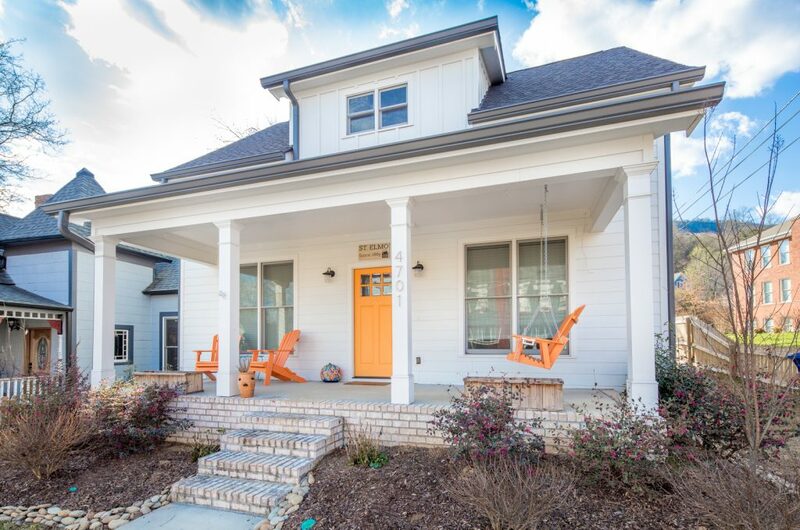 Visit our website (or click the areas here) for the most update listings for new construction homes in Chattanooga, Ringgold, Signal Mountain and Ooltewah.